written following a FB-debate around the „Wikipedia stumb“ for Geoethics. Geoethics consists of the research and reflection. Its subject are those values that guide appropriate behaviors and practices where human activities intersect the Geosphere. As such, Geoethics is an interdisciplinary field between Geosciences and Ethics. It involves Earth and Planetary Sciences including planetary geology and astrobiology, as well as applied ethics. Geoethics deals with the way of human thinking and acting in relation to the significance of the Earth system and its modeling. As such Geoethics deals with the ethical, social and cultural implications of earth-science research and practice, providing a point of intersection of Geosciences, Sociology, and Philosophy. Mountain natural streams and reservoirs have a relevant hydrological and ecological importance since they represent reliable sources of freshwater supply to lowland regions and high-quality habitats for fish and cold-water communities. 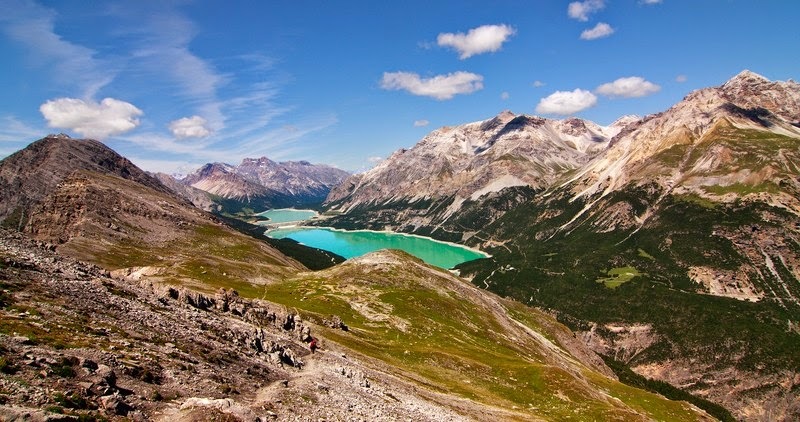 Moreover, streams in mountain environments are of significant importance for users in several socio-economic sectors, such as agriculture, tourism and hydropower. Given the vulnerability of mountain streams and catchments to the impact of climate changes and the increasing concern about water supply in mountain regions, there is the urgent need for scientists to face integrated, multidisciplinary catchment-scale studies addressing implications of climate change on water resources management and flow regime [*]. Regarding the study of the abiotic world Geoethics covers the necessity to consider suitable protocols, scientific integrity and a code of good practice. To that end, Geoethics includes geo-educational, scientific, technological, methodological and social-cultural aspects. Geoethics refers to such subjects as sustainability, development, geo-diversity and geo-heritage, frugal consumption of resources, appropriate handling predictability, risks and mitigation of natural hazards, geoscience communication, and museology. Geoethics represents an opportunity for Geoscientists to become more conscious of their social role and responsibilities in conducting their activities and to influence the awareness of society regarding problems related to geo-resources and geo-environment.